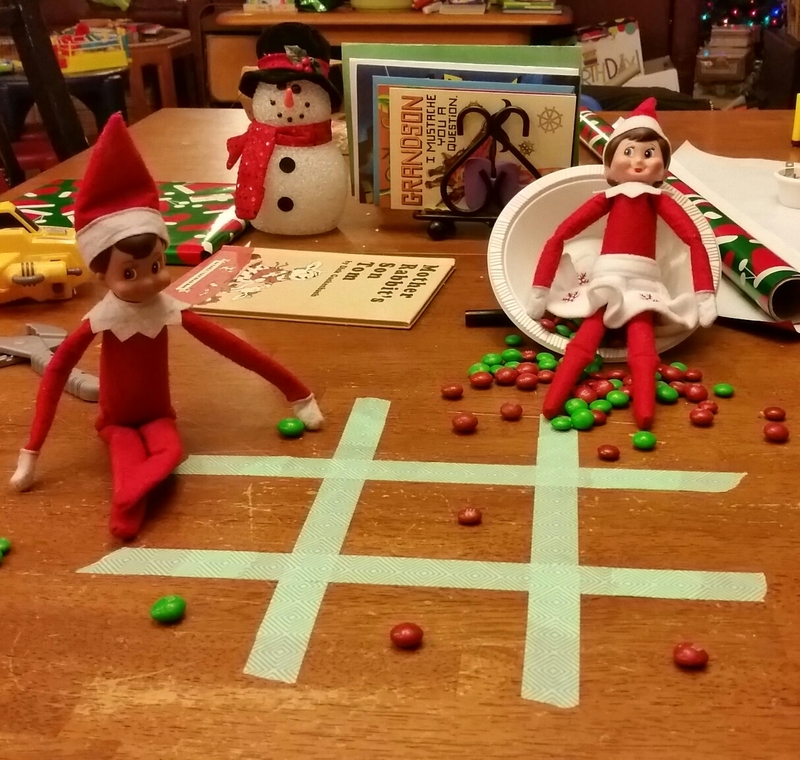 Nim and Lil sat at the kitchen table playing a game of tic-tac-toe with Christmas M&Ms. “Gotcha!” squealed Lil spilling red and green candies all over the place as she whirled around. Nim chuckled softly as he scooped the M&Ms into his mouth. Lil wrung her hands and zipped around. It was her turn to come up with an idea and she didn’t have one. What was she going to do? “Well?” asked Nim when she didn’t answer. “Oh Nim! 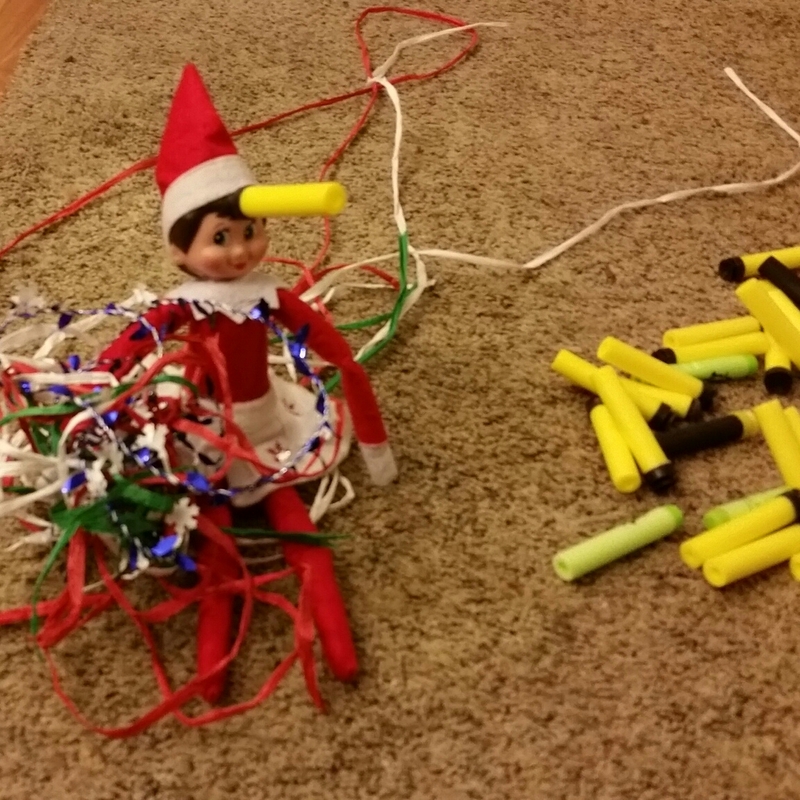 I–Agghhhh!” Lil’s foot caught on a stray piece of ribbon and she went down–Whampf!–into a pile of foam darts. Nim could barely contain his mirth at the sight of Lil tangled in Christmas ribbon, a Nerf dart stuck to her forehead. When Nim didn’t stop laughing, she picked up a dart and threw it, hitting him on the shoulder. 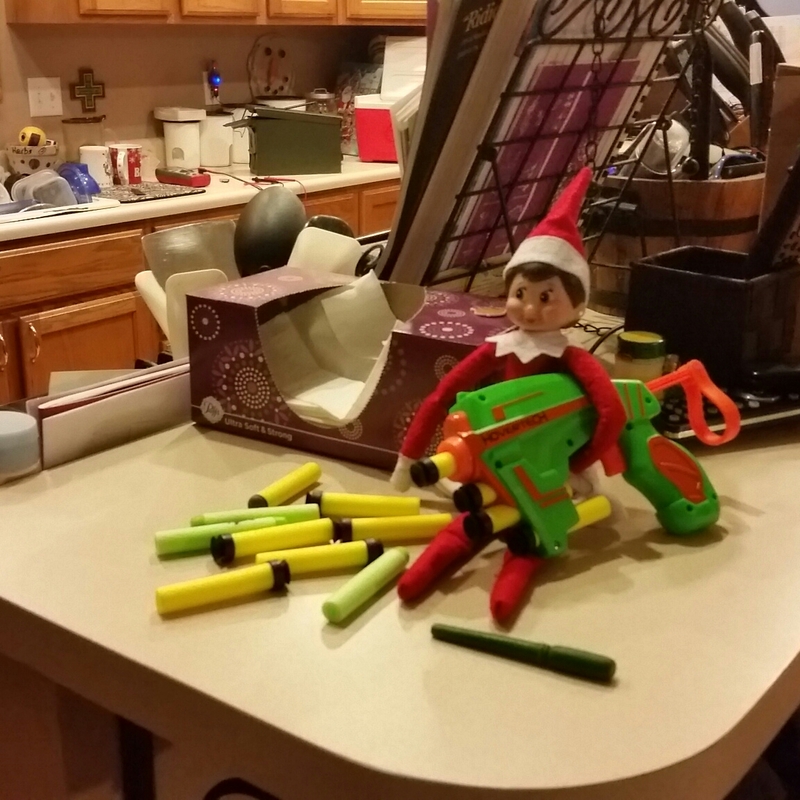 Nim, still giggling, picked up a few darts and swooped to the nearest Nerf gun. Nim and Lil waged Nerf War throughout the living room and kitchen. The soft thwap of the darts hitting their mark could barely be heard above the roaring laughter of the two elves. 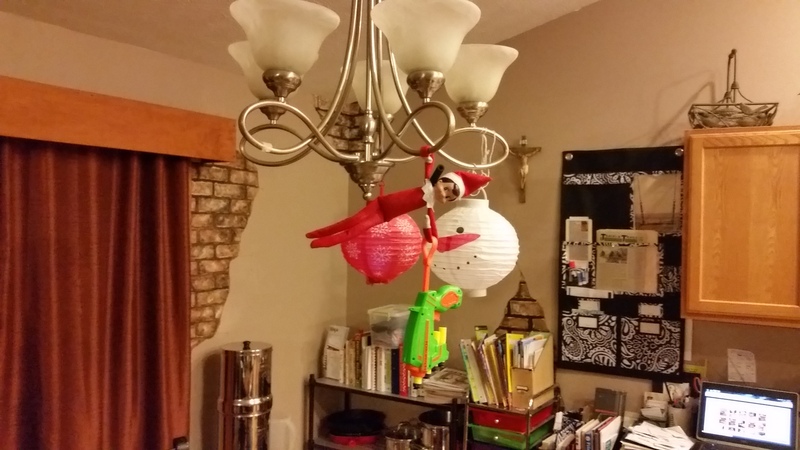 “Truce!” cried Nim as he hung from the kitchen light. 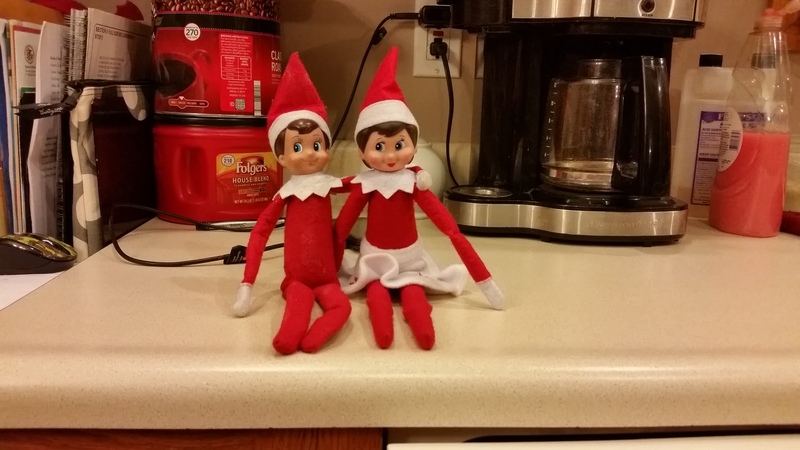 They fluttered to the kitchen counter to look at the aftermath of their battle. Darts littered the floors, counter tops and couches. “Will they be mad about all this?” Lil said, gesturing to the sea of darts.